Set a large pot over medium heat and add about a tbsp and a half of olive oil (any oil will do). 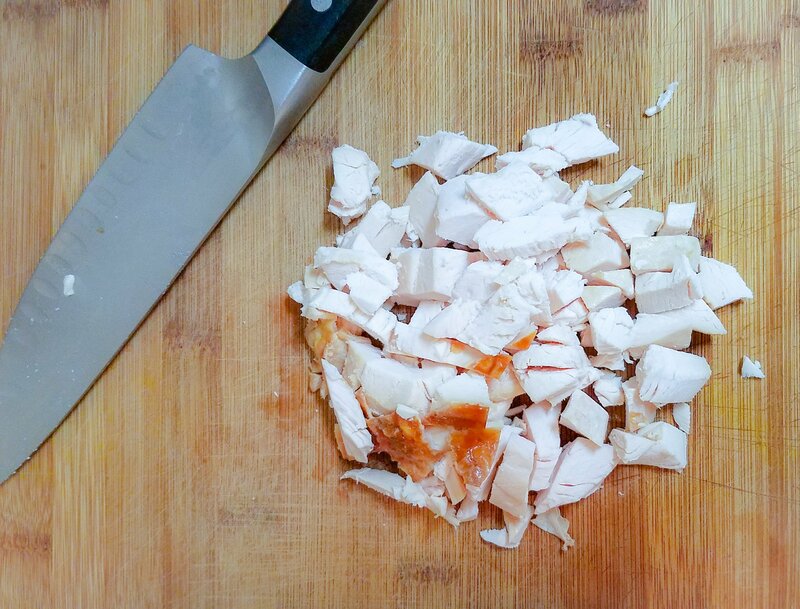 Prep all your ingredients by first chopping your celery, carrots and onions, followed by the rotisserie chicken breast. Chopped up rotisserie make this a quick meal we all can appreciate! Dump the chopped mirepoix (fancy word for chopped veggies sauteed) of celery, carrots and onions and cook them for about 8 minutes until soft. 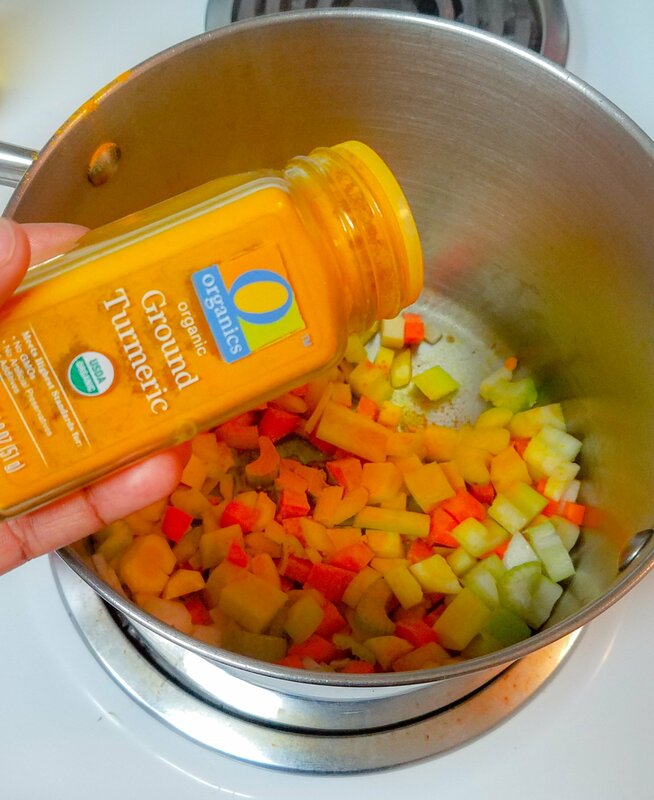 Add the turmeric, celery salt, and chicken while stirring until all combined. Pour in the water and bring it all to a boil. You can now add the peas and the corn as well. 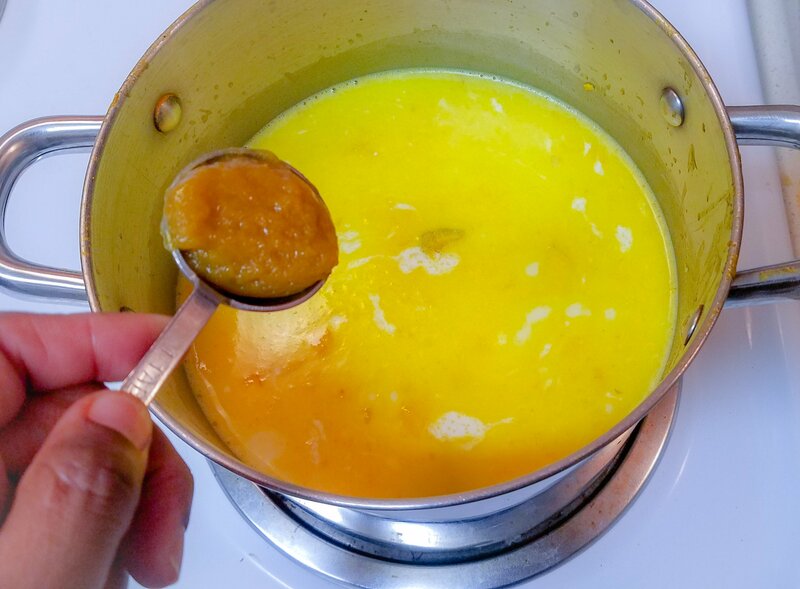 Turn the heat down slightly and add in the better than bouillon base along with the cup of heavy cream. 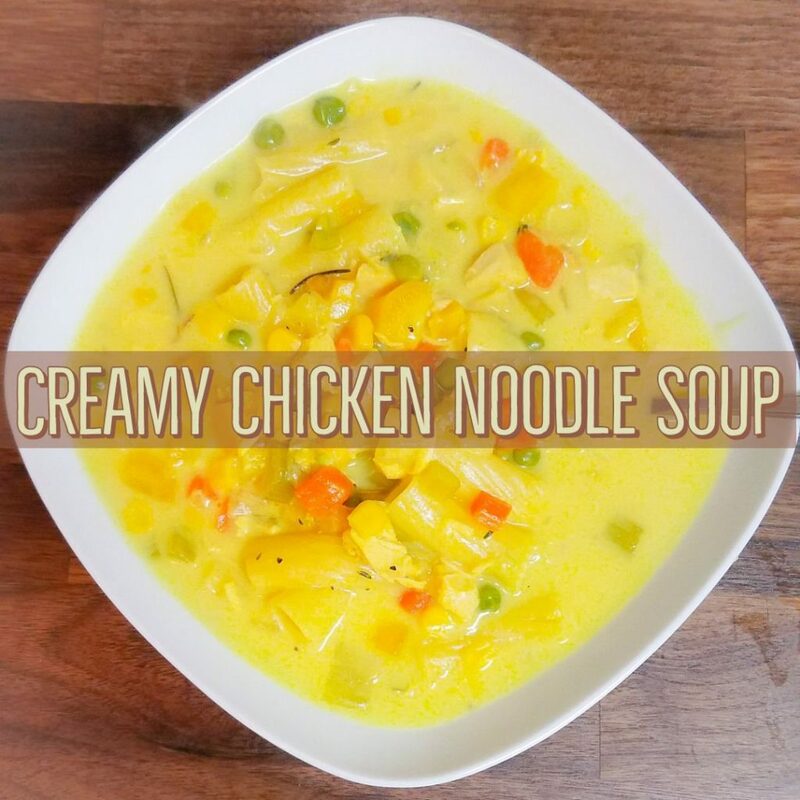 Heavy cream makes this a rich and decadent soup! 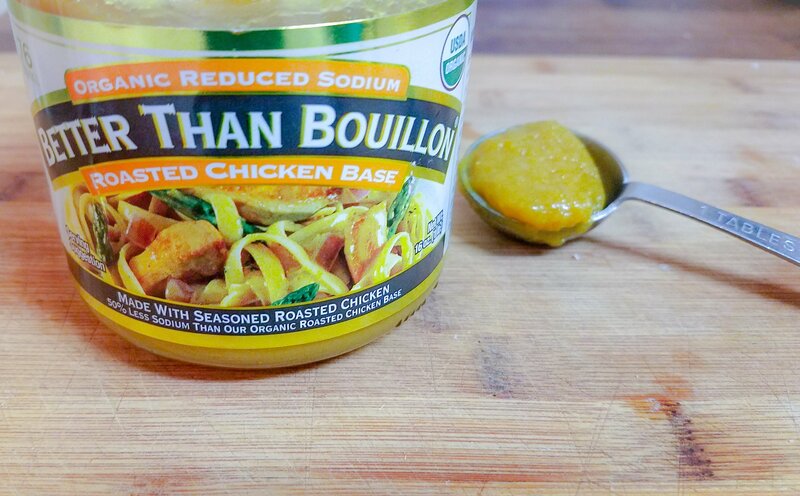 This is a fridge staple I will NEVER turn my back on. 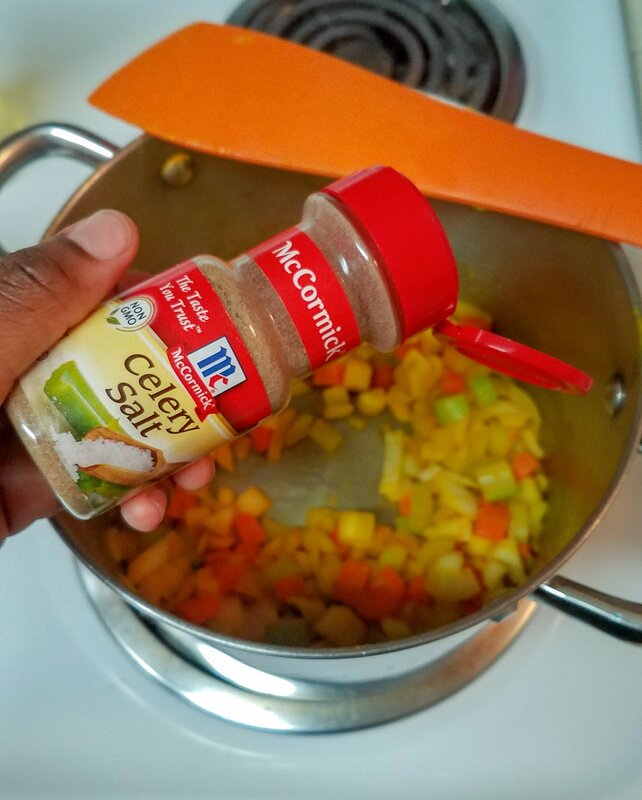 Saves you money and adds sooo much flavor to any dish! 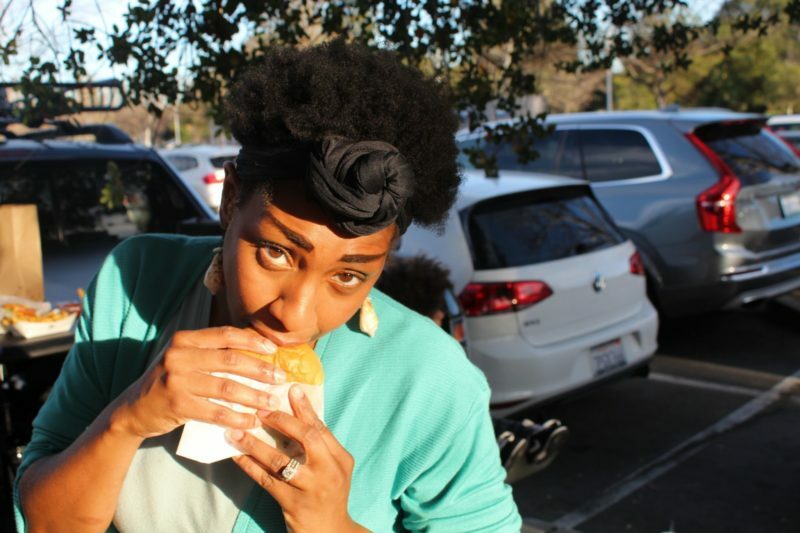 I cannot tell you how much I love this stuff! 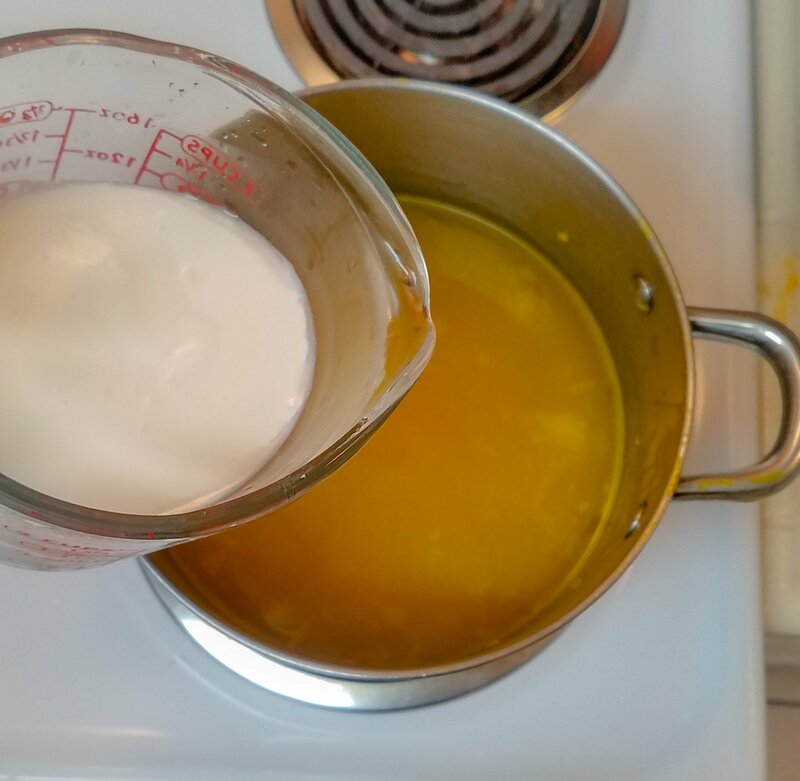 Whisk it all for about 2 minutes to ensure the bouillon base has incorporated into the water and heavy cream. 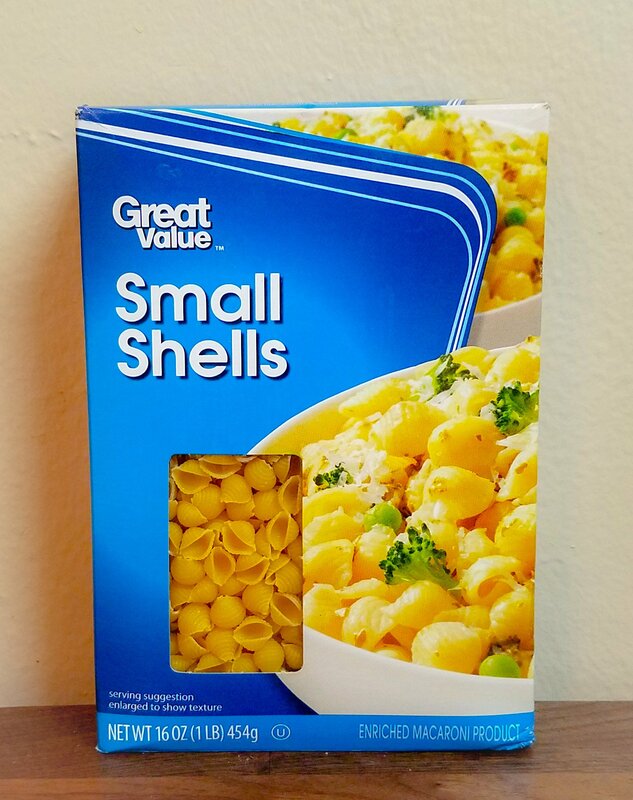 Drop in the cup of small shell pasta and cook for about 8-10 minutes. Soup is almost done when the pasta drops! Only 10 minutes left!!! 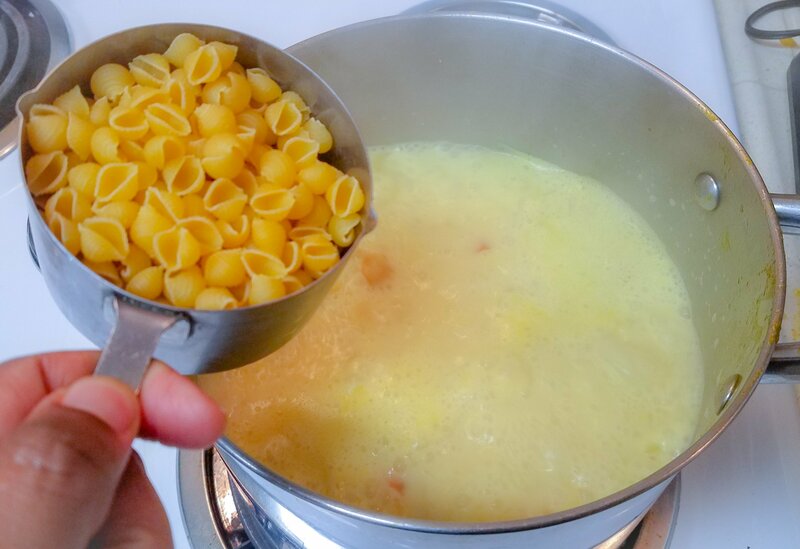 Once the pasta has cooked through, remove the pot from the heat and pour about a half a cup of the broth into a bowl. 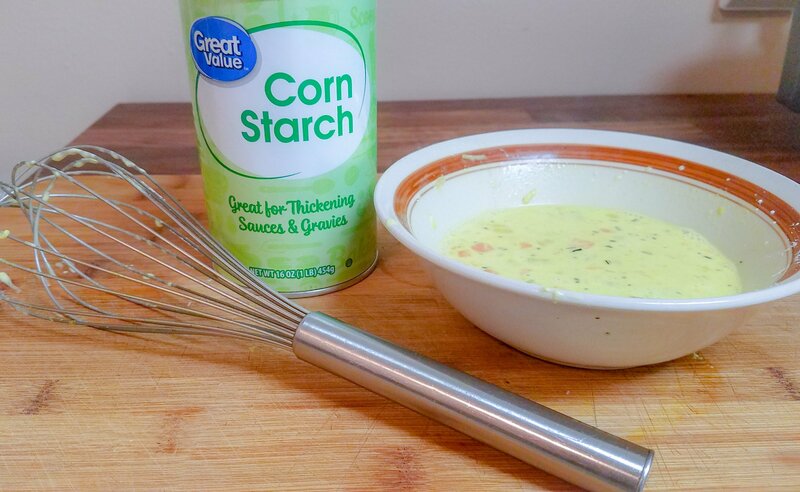 Add the 2 tbsp of cornstarch to the bowl of broth and whisk it well until all the lumps of cornstarch are gone. Add this BACK into the pot of soup, whisk it well then wait about 10 minutes until the soup has thickened up. 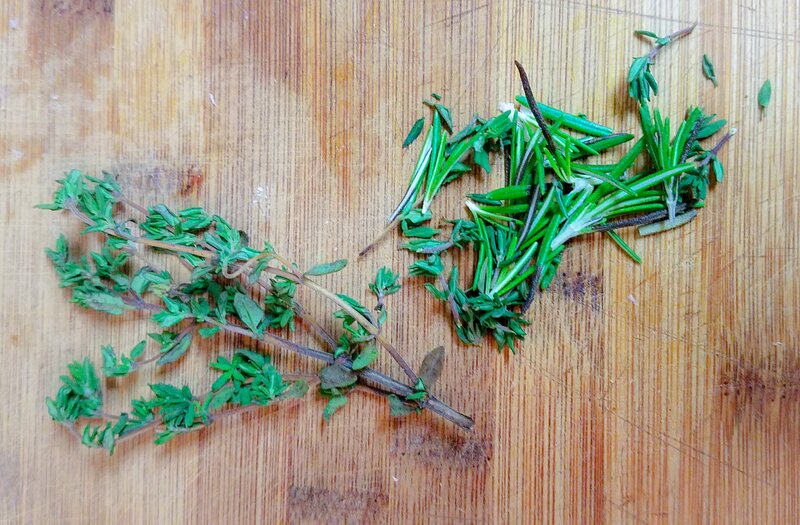 Some gorgeous herbs (rosemary and thyme) about to go in the pot!! 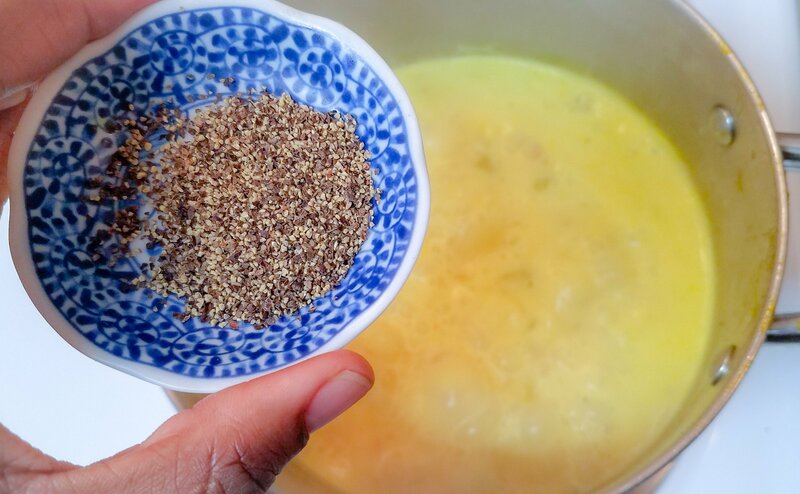 Add salt & pepper to taste plus the herbs (the better than bouillon has a good amount of salt in it so be easy when adding salt) and you’re DONE. Don’t mind the rigatoni you see….this was an earlier batch I made!!! 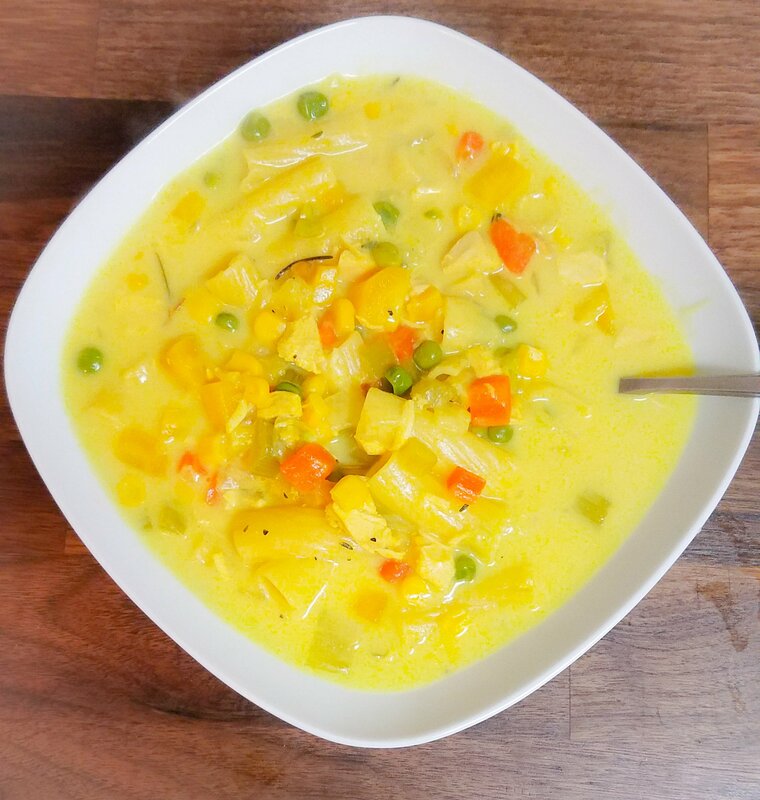 We love soup a little toooo much! Previous Post El Salvadoran Curtido!